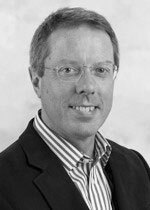 Mr Liddington has 14 years experience in independent Plastic Surgery practice. Mr Liddington completed his medical training at St Bartholomew’s Hospital Medical College and undertook general surgical training in Cambridge, Oxford and Gloucester. He started his training in Plastic and Reconstructive Surgery in Salisbury, in 1991. Further training took place in Leeds, Manchester and Brisbane. It was in these centres that he gained his skills in head and neck surgery, and in particular microsurgical reconstruction. Mr Liddington was awarded his PHD Doctorate from the University of Oxford for his work on the immunobiology of skin and skin transplantation. This work was carried out at the Rockefeller University, New York and Emory University, Atlanta, as well as the University of Oxford. He has published widely in peer reviewed journals and continues to foster research in his department at the Leeds General Infirmary.Mr Liddington has a busy aesthetic practice at the Nuffield Health Leeds Hospital. He specialises in all aspects of aesthetic surgery, especially facial surgery and non-surgical treatments. Surgical education, training, examination, assessment and medical management. Mr Liddington is a keen cook and loves experimenting on his family with food. He enjoys taking part in sports such as tennis and golf. Mr Mark Liddington does not hold a share or financial interest in this hospital, another Nuffield Health hospital or the company. Mr Mark Liddington does not have a share or financial interest in equipment used at this hospital or another Nuffield Health hospital. Mr Mark Liddington does not hold any paid advisory role(s) at this hospital or on behalf of Nuffield Health.